Our boss, Stephan Ekbergh, is quite the maverick type. He built Travelstart from scratch and it comes as no surprise that he gets quite a few requests for media interviews, speaking engagements and the like. So when Sweden’s leading financial publication Veckans Affärer (Business Week) profiled Stephan in their February 2013 issue, we were delighted when the final printed copy arrived at our Cape Town office complete with Stephan’s handsome mug as the cover story. 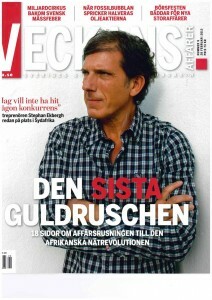 The article about Stephan was published in Veckans Affärer (VA) nr 9/2013 (March). The theme of the issue is the African-Rush. Veckans Affärer monitors stock market and financial news through qualified reportage, analysis and interviews. The target audience is decision makers in Swedish business, economics and politics. In February a VA journalist from Sweden had the opportunity to follow Stephan for a few days and interview him about his life experiences as a successful entrepreneur. Stephan was raised in a small, rural community in Southern Sweden. His foray into a lifelong entrepreneurial journey began at the tender age of 7 and continued into young adulthood when he sold potatoes and strawberries to finance his love for collecting music LPs. Later, he went on to become a DJ and rock music promoter. In 1982, Stephan began his first “real job” at the Nyström & Schultz travel agency where he remained for 2 years. One day, after a particularly harsh evening of Swedish weather, Stephan and his brother decided to buy tickets to South Africa. 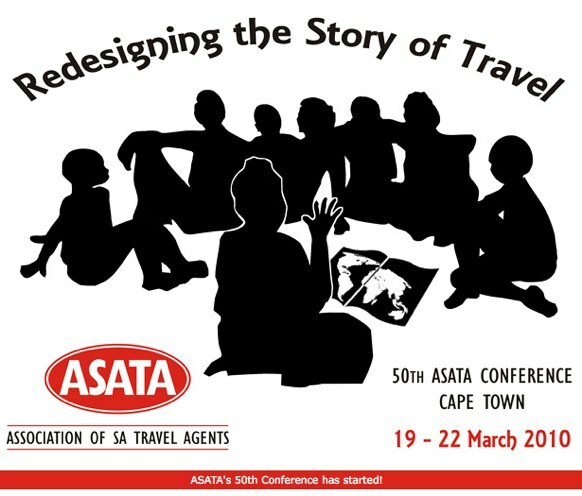 He loved the country so much that on returning to Sweden he launched a travel agency that specialised in South Africa travel. Fast forward a few years and Stephan launched International Tours – a travel agency that challenged traditional players by coming up with innovative ways to sell tickets cheaply. The company became profitable and was later sold. Near the end of the 1990’s Stephan began consulting to Northern Europe’s first online travel agency, Mr. Jet. After seeing the potential in Mr. Jet, he decided it was time to build his own online travel retailer and thus Travelstart was born in 1999. After being acquired by a German IT conglomerate which subsequently went bankrupt, Stephan was able to buy the company he had started back. In 2006, the decision was made to move Travelstart to South Africa in a bid to arrive early in a market that was on the precipice of the Internet culture that was already taking the rest of the world by storm. However, as a result of being managed all the way from South Africa, the Travelstart Nordic business dwindled as a market leader in the Scandinavia region and was eventually sold for R125 000 000 so that all energy could be put into developing Travelstart in South Africa. Soon after Stephan sold Travelstart Nordic he got once again an offer. This time Naspers offered R350 000 000 for the South African business, however, Stephan decided to deny the offer and keep running Travelstart Africa. Currently, the Travelstart brand is expanding throughout Africa and Turkey. For a technology company in an emerging market, Stephan considers the greatest challenge is managing online payment methods. That’s why Travelstart customers can pay for online travel services using a variety of channels that are tailored to suit the needs of people in each country in which Travelstart operates. In some countries, Travelstart utilizes a Moped to deliver tickets bought online and collect payment at the customers’ door. Hi, to which email address could I send a letter that is personally addressed to Stephan Ekbergh? Both these e-mail address’s are managed frequently everyday. Wow, those are some seriously big numbers! Wow, those are some seriously big numbers! It must have been difficult to turn down those offers.